The day after Thanksgiving has traditionally been one of the special football days of the year in America. While high school rivalries and the NFL play on Thanksgiving itself, the day after, Black Friday, has always belonged to the NCAA. Today, there are two decent games — Washington takes on in-state rival Washington State, while Navy sailed into Houston for a match up of one-loss teams. But before the rise of cable, there was usually just a single college game featured, usually a marquee match-up on one of the networks for a nation still digesting it’s Thanksgiving dinner. In 1984 The Game pitted the 8-2, 10th ranked Boston College Eagles versus the defending national champion Miami Hurricane. “The U” was full of NFL draftees, though they weren’t having the same quality season as usual in ’84, coming in ranked 12th in the national polls. Still, playing at home against the upstart BC Eagles, Miami was still a strong favorite as BC was viewed as the small Catholic school from the northeast where college football wasn’t nearly the religion as it was in the South and Midwest. In recent months my friend Matt Taylor has launched a new clothing line called TrackSmith whose influences harken back to a simpler, more rudimentary time in the sport. 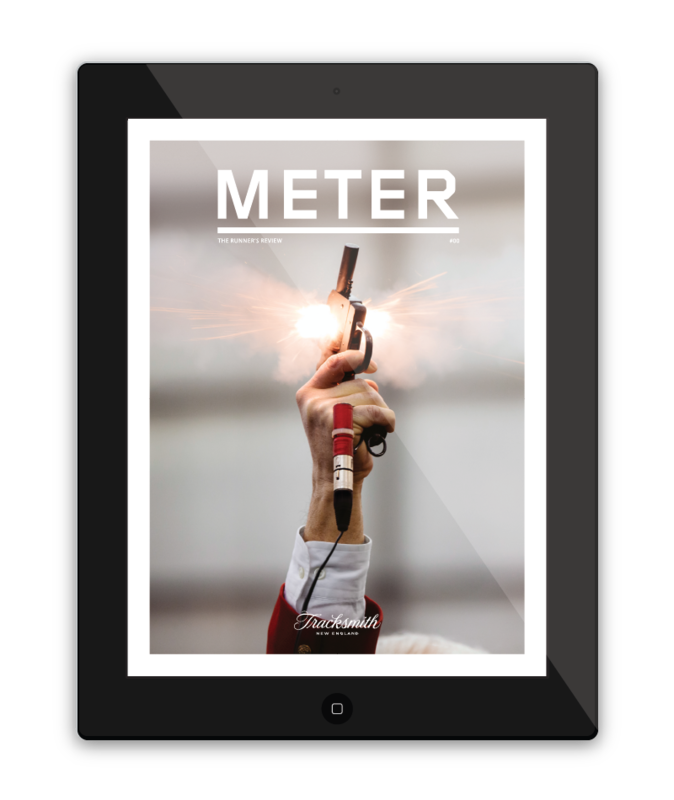 Among the projects associated with TrackSmith, Matt has come out with a new running publication called Meter. 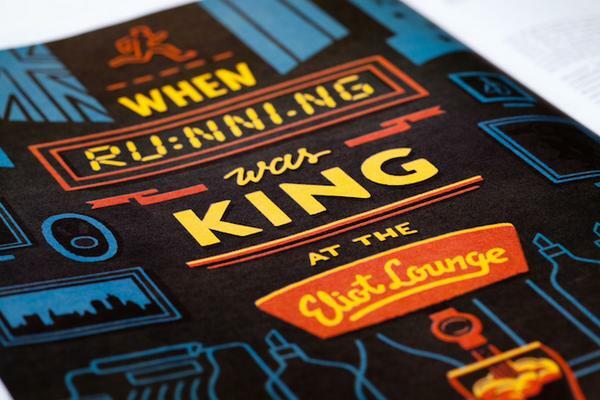 I am proud to be among the contributors tor the inaugural issue of Meter, providing a look back at the legendary Eliot Lounge, that long lost and fabled runner’s bar in Boston’s Back Bay which shuttered its doors in 1996. Yesterday, Matt put up on Twitter an audio clip I sent him from my old Runner’s Digest radio show in Boston that aired from 1977 to 1988. In this clip we find ourselves inside the Eliot on the Thursday night before the 1978 Boston Marathon. The place was teeming with runners from around the world as our favorite band, Heidi and The Secret Admirers, was closing the night in style. As Heidi kicked off her final encore at about 1 a.m., Ian Gamble, a motor racing promoter from Auckland, New Zealand — who also organized New Zealand’s Choysa Marathon — made an offer to Greater Boston Track Club star Randy Thomas who is now the long time track and cross country coach at Boston College. If you want to know what it felt like to be in the Hub of the running universe at the height of the running boom, perhaps the four minute clip below will give you a taste.